RIEJU has launched a new naked version of its RS3 125 sportsbike, getting in on the action in one of the few growing segments in the current market. 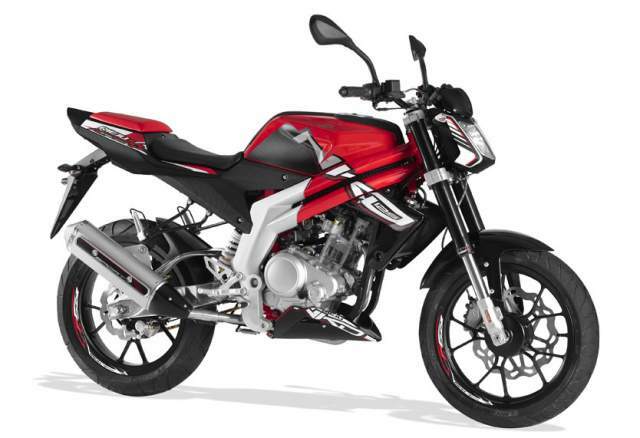 Powered by a four-valve liquid-cooled Yamaha-Minarelli engine making a punchy 14.8 bhp, the 120 kg (dry) NKD promises to be a strong performer. The spec list is impressive, with a multifunctional digital dashboard, 41mm Paioli inverted forks, cast alloy swingarm and a 300mm Galfer wavy disc up front. Priced at £2,899, the NKD will offer premium competition to the more sedate Yamaha YBR125 (£2,570) and Honda CBF125 (£2,600), and a clutch of cheaper Asian naked 125s such as the Daelim VJ125 and Kymco K-Pipe.